Political conflicts apart, the two Koreas has agreed to improve on the communication network, which is believed to be a great step toward peace and harmony in the peninsula. In a landmark agreement, the two Koreas will start reconstruction of the existing copper communication links by upgrading them to fiber optic links. Africa based submarine and terrestrial communication network provider SEACOM has concluded a sale agreement for the 100% acquisition of FibreCo Telecommunications by its affiliate SEACOM South Africa . FibreCo owns and operates a national open access dark fibre network, providing infrastructure, connectivity and services across South Africa. The acquisition is subject to approval by the South African Competition Commission. Ethernet Switch vs Hub vs Splitter: What’s the Difference? Chorus in a media release said that the demand for fiber connectivity has been strong for some time, but it has noticed a surge in demand in recent months. It was in April 2018, that the operator revealed the status of fiber connectivity, where the number of fiber customers was 400,000. 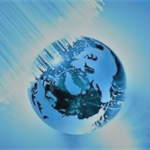 Fiber deployments were rapidly progressing, but it has surprisingly surged and the provider has been able to meet the pressure from the market. Within approximately six months, around 100,000 numbers of fiber connections were done by its installation crew! This number corresponds to more than 5,500 fiber connections a day!